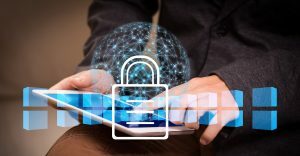 Rapid development in security protocols for not just conference calls, but also for a variety of online and offline technologies, is now among the key requirements and priorities of many countries worldwide. For conferencing providers, answering this need can make or break their business – privacy and confidentiality is now mandatory, and providers strive to tighten their security measures and keep up with industry standards. So in the years to come, it won’t be surprising for industries or growing organizations that rely heavily on conference calls to concentrate on having secure systems and processes in place – and secure conference call providers should keep up with the increasing demand of these users for a safe, yet still seamlessly convenient experience when it comes to virtual meetings or conference calls online or over the phone. Better Encryption – Encryption methods will grow more sophisticated in the coming years. With encryption, only the sender and the intended recipient should be able to decipher data sent over the call, making over-the-phone and even over-the-web calls more secure. Wider User Feature Sets – The early stages of conferencing call technology permitted little control for call hosts or moderators. Back then, they could only set up the call and invite participants. Fortunately, this has significantly changed. Hosts and participants have been given more authority over their calls throughout the past few years. In 2019, we can expect users to have better ability to add and retire individual passkeys, invite and kick members, moderate calls themselves, and ensure only invited guests are included in conference calls. A wider suite of features can allow hosts or moderators to take the helm and experience their call the way they want them without a hitch. Pre-Conferencing – Pre-conferencing or the use of a “Green Room” may be more widely adopted by 2019. Adopting the use of a breakout room helps increase efficiency at ensuring security. In pre-conferencing, users are not directly connected to the main call. Instead, they are sent to a temporary room where their identities may be authenticated by the operator or call moderator. This is an additional layer of security for ensuring that only verified participants are on the call. Individual Passkeys and Multi-factor Authentication – While the use of passkeys or passcodes for conference calls is not new, we can look forward to better and stronger ways of keeping them secure. Although single-use and semi-permanent passkeys are favorable when it comes to ensuring tight and secure entry of participants in a call, it might not be enough in the future. Hackers and cybercriminals time and again find cunning workarounds as fast as technology becomes more advanced, so conferencing providers will always have to come up with better security safeguards. Some conference call providers already employ 2FA or two-factor authentication for ensuring the integrity of a passkey holder, however, multi-factor does a better job in adding a layer of security. Call Locks – Call lock, although a relatively old feature, allows the host to lock the call after all participants have successfully joined the conference call. This can effectively avoid any unwanted users to join the call. This also makes sure that an ongoing call won’t be accessible since the call lock does not allow anyone to come in unless allowed by the host. Another type of a call lock would be an expiring conference call schedule. When a meeting has been set, a conference can only start and end at the exact time and date provided.